Mob Psycho 100 II Anime's English Dub Premieres on Crunchyroll Today! 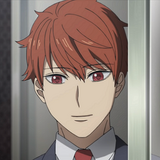 Last week we introduced the English dub for the entire first season and OVA of Mob Psycho 100, and now it's time to keep the psychic battles going with the recently concluded second season. The English dub of Mob Psycho 100 II kicks off TODAY, with new episodes to debut every Thursday. Read on for more. The Like Asta photo-op at Anime Boston gave con-goers the chance to pose with Asta's giant claymore and offered the opportunity to win a replica Black Bulls cloak! 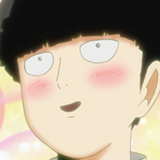 Relive the adventures of Mob, Reigen, and Dimple in a completely new way! 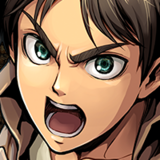 Command your own squad and protect humanity from titans in Attack on Titan TACTICS! Pre-register for Attack on Titan TACTICS now! 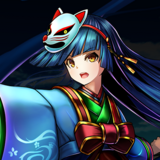 Major update comes to Grand Summoners! Major update comes to Grand Summoners! Hit the jump to learn more! 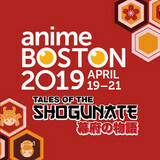 Crunchyroll is bringing it back to Anime Boston April 19-21 at the Hynes Convention Center. We’ve got a lot of cool stuff planned, so you’ll have to swing by booth #229 for everything we have in store. Read on for details! Spend Time with Rem and Emilia in the New Re:ZERO VR App! If you woke up in the world of Re:ZERO -Starting Life in Another World-, who would you choose as your best girl? 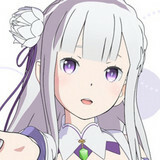 It may seem like a far-flung fantasy, but you can turn it into a virtual reality thanks to the North American launch of the smash hit app Re:ZERO VR -Starting Life in Another World-. Read on for details! 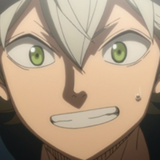 Crunchyroll Expo 2019 is proud to announce another major guest! 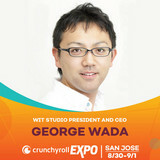 The latest to join the ever-growing lineup is George Wada, President and CEO of anime production house WIT STUDIO. Read on for more. 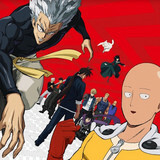 Crunchyroll revealed a big addition for Europe this morning with the announcement of the second season of the One-Punch Man anime. Read on for details. Crunchyroll is pleased to announce 5 that more TV anime series have been added to the Spring 2019 simulcast lineup, and there's something for everyone, whether you're a fan of age-gap comedy, supernatural bureacracy, tiny robot wives, or baseball girls doing their best! Hit the jump to learn all the juicy details. The epic Knights of Blood Saga continues in Grand Summoners! 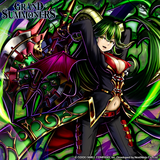 The epic Knights of Blood Saga continues in Grand Summoners! Hit the jump to learn more! 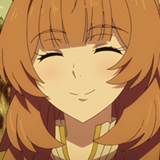 Leave your questions in the comments of this article and we will your questions to Shield Hero manga artist Aiya Kyu!! 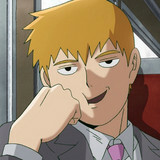 Crunchyroll Expo 2019 Welcomes Mob Psycho 100 Director, Character Designer, and Lead Voice Actor! 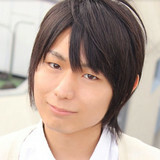 Crunchyroll Expo 2019 is delighted to welcome some major players in the anime adaptation of ONE's Mob Psycho 100, including director Yuzuru Tachikawa, character designer Yoshimichi Kameda, and the voice of Mob himself, voice actor Setsuo Ito! Read on for more. One of the pieces of content for Dead or Alive 6's Season Pass 1 is Happy Wedding Vol. 2, which introduces 13 wedding-themed costumes. The DLC is officially available, and you can see how the fancy nuptial outfits look in action after the jump. 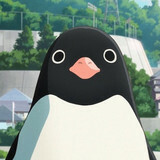 ELEVEN ARTS Anime Studio revealed some more details about the U.S. theatrical release of Penguin Highway, an anime film directed by Hiroyasu Ishida and based on the novel by The Night is Short, Walk on Girl author Tomihiko Morimi. Read on for more.